Now when you do this, it’ll make going through practice questions take way longer. However, it’s better to do some questions really well than do lots of questions poorly. In fact, I once worked with a student, let’s call him Bob, who exemplified this idea perfectly. Bob called me at the beginning of August and wanted to do some intensive studying. At the time, I was working alone and since I live in France, I had planned on going on vacation like 90% of the rest of the country. Thus, I told him that I could help him in late August, and in the mean time he could start reading some books that I recommended (if he contacted me now though we would be able to help him with his GMAT Prep in Paris at any time of the year). Furthermore, I gave him some tips like the one in this post. After a half an hour phone conversation Bob told me that he would give me a call back later. The weeks rolled by and I never heard from him. This wasn’t a problem as I understood that students are often in a hurry and need help right away. Then three months later, Bob gave me a call back, and said, “I should have listened to you a little bit better.” Curious, I asked him what happened. It turned out that Bob didn’t use the materials that I recommended, and didn’t study in the way that I told him. Instead, he used the materials another local company told him to use (which is also understandable) and relied on a computer program that told him which questions to do. In the end he did more than 1500 questions and improved from a 450 to a … ? How much do you think ?To a 570 ? To a 620 ? Nope. He went from a 450 to a 460 and was completely depressed. He didn’t understand how it could be possible to do so much work and make so little progress. After a quick 15 minute conversation, it became clear that there were several major problems. The first was that he used the wrong material. 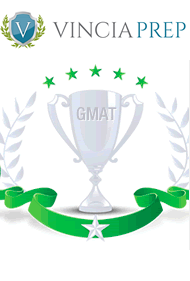 While there is a ton of GMAT material out there, some resources are better than others. The second, and more serious problem was that he didn’t learn from his mistakes. Instead, he just kept doing more and more problems without realizing that he kept doing the same missteps over and over. Two months after that fateful phone call, and 30 hours of GMAT tutoring later, Bob took the test again. This time though, he got the GMAT score that he wanted. This time though, was the last time he ever took the GMAT.